Your patio and driveway have turn into so soiled that they are getting dangerously slippery? Order the services of Excellent Carpet Cleaning. We are a professional hard floor cleaning and jet washing company delivering first-class cleaning services in Syon House TW8at a reasonable selling price. We will happily provide you with the specialist scrubbing, hard floor cleaning, polishing, sealing, tile recoat and anti-slip protection service you require. Excellent Carpet Cleaning is a top hard floor cleaning company, which delivers affordable and yet high quality hard floor cleaning and polishing services, grout and tile cleaning, hard floor sanding service, vinyl floor cleaning, slate and stone floor cleaning in Syon House TW8. Our specialised tile and grout cleaning company can offer you professional floor sealing and polishing, exterior and interior wood cleaning, stone cleaning and grout colour sealing and recolouring expert services. We provide trustworthy and guaranteed commercial and domestic hard floor maintenance services in the region. No matter how dirty and how bad the condition of your hard floor is, book our jet washing and hard floor cleaning services and you will be amazed with the results! All of our cleaners are trained and properly equipped to deliver you with a safe and reliable hard floor cleaning service. They can easily eliminate stains, slippage and scratches from your hard floors. 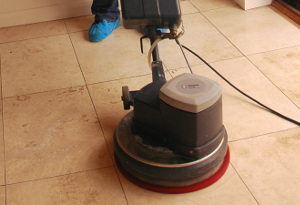 Any dull spots, watermarks and micro scratches will be extracted, along with the hard floor surface soiling. Based on your hard floor, the service can include an expert vacuum, the use of cleaning spray, a professional scrub, rinse and dry cleaning procedure. The cleaners will do a cleaning, buffing and floor polish stripping with the use of high quality modern technology, emulsification, heat, pressurized cleaning, and powerful capture of the waste materials. Once the floor area has been expertly cleaned ongoing protection is achieved with an impregnator, polish and seal for protection. You indoor or outdoor hard floors will be rejuvenated and covered after we are done. Ordering one or more of our professional cleaning services is free, easy and quick. Contact our client help team, and you will receive written confirmation for your reservation in no more than 2 hours. Get in touch with them via the online booking form below, or by dialling 020 3404 0500. No advance transaction is expected. All of our cleaning fees are set without hidden fees. We do not charge more for cleaning on weekends and holidays also. If you order a mix of two or more of our cleaning services all at once, we will deliver you quite great deals from our cost. If you book early on or a regular client, you will be rewarded with our special preferential rates. These rates are also viable for all regional owners and companies. Book our jet washing and hard floor cleaning service right now to get your floors renewed, cleaned and safe for walking.